Jeremy Upton is the Director of Library and University Collections at the University of Edinburgh, a post he took up in 2015. His remit covers library and museum collections including the world renowned musical instrument collection held at St Cecilia’s Hall. Jeremy started his professional library career as a music librarian before moving in to general University Library Management. Prior to working in Edinburgh, he was Deputy Director of the library at the University of St Andrews. Giuliana Tomasella is full professor at the University of Padua (Italy); she teaches Museology and History of Collecting; History of Art Criticism. She is currently the Director of the University Museums Centre. She is member of the scientific committee of the Museo d’Arte Orientale di Ca’ Pesaro of Venice and is part of the scientific committee of the forthcoming Museo della Natura e dell’Uomo (Museum of the Nature and Man) of the University of Padua. Her studies have focused on the relationships between art and politics during the Fascist period. Recently, her research is focalising on the problem of the image of the Black in European art, during the colonial period. This conference was organised by the Heritage Group to provide an opportunity for museum professionals and academics working with collections from different Coimbra Group institutions to come together to exchange best practice and innovative approaches to teaching and research. Presentations from the conference are available on the Coimbra Group website. This online exhibition was created by the University of Edinburgh for the 2017 annual conference. The site provides information on a selection of items from the Coimbra Group Institutions and showcases the rich variety of materials held in collections across the Coimbra Group. The infrastructure will be used to help identify opportunities for further joint working. Conservation: The Working Group will be creating a work stream to look at issues associated with the conservation of physical cultural heritage. 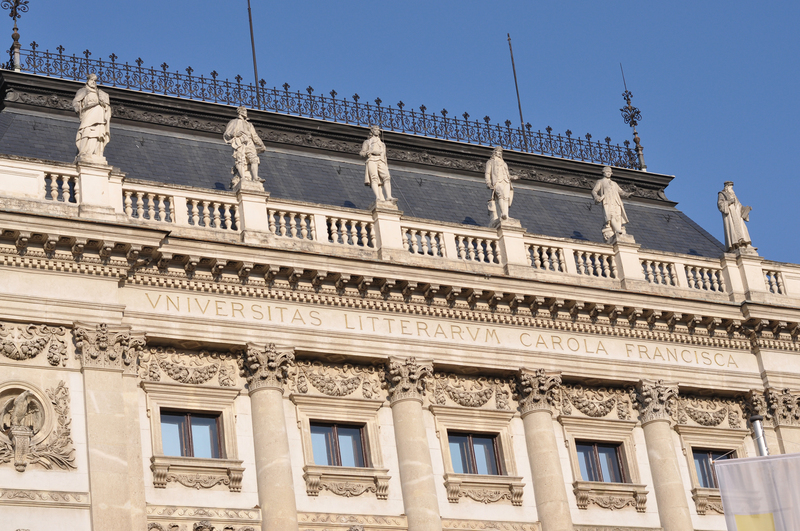 The Coimbra Group institutions all face challenges connected with issues such as the preservation of buildings and identifying funds to support conservation. Cultural heritage and the University: The Working Group will be meeting at the University of Graz on 22-23 October 2018. We intend to hold another seminar in our series Cultural heritage and the University at this event.